We have a monthly maid service. And, we have a Golden Retriever that sheds a lot. My wife recently said that monthly is not enough - she said we need twice monthly, or perhaps every three weeks. Since her concerns seem to center around the build up of dog hair (which is difficult to see but amazing in volume when you vacuum it up), I was thinking it would be more economical, and perhaps even superior, to buy a Roomba-like device for a few hundred dollars. It would pay for itself quickly. However, we had a bad experience with Roomba many years ago - we bought one when they first came out, and it broke shortly after we purchased it. I'm wondering whether it would be worthwhile to try again? It would have to some some AI/intelligence - enough to stay away from the dog's water bowl and not get tangled up in power cords or trapped in a corner. I'm assuming these things have really advanced since the old days when I first tried one. Have they? Is it worth trying this again? I need one too. I'm looking for something that can re-charge it's self and has virtual mapping that you can create virtual walls with their app. Bonus points if it can be used with 2 separate floor-plans (upstairs and down). i have a roomba (can't comment on the competition) which i use a couple times a week on the hardwoods -- it picks up an amazing amount of cat hair and dust. i bought it at costco so i could return it if it didn't work as advertised -- 3 years later it still works good as new (replaced battery and brushes) and i'll get another one when it dies. we like our roomba. when i retired i was going to clean the floors every few days. i lost interest in that pretty quickly. get one of the top of the line models. The new dust bin looks awesome. We have the 980 and I would definitely pay a couple hundred right now to eliminate having to empty it each day. I sold my two Roombas after spending more time cleaning and repairing them than it took to run a broom around several pet-accessible rooms with hardwood floors. Mind you I had the enhanced 'turbo' collection bins and brush upgrades too. Lots of hair wraps around the brushes and isn't easy to clear. It took very little dog hair to fill a bin to the point of provoking Roomba to exclaim "do-do-de-doo Please Clean Roomba!" Since they required cleaning every day, the timed automatic startup function wasn't too useful b/c the units can't run unattended. When the batteries die, they are quite expensive to replace (the aftermarket brands are better). Ours also liked to get stuck under furniture if there were any cables around—I started to hear that "do-do-de-doo Roomba Trapped!" chime in my dreams. Some days it was tricky to find where it beached itself. Google the encounter between a Roomba and a puppy #2 mess, hilarious. Never happened to us, but it's sure possible. For us, these were a novelty at best. Fun with cats though. I had a Roomba about 8 years ago. Spent more time cleaning and emptying it than a regular vacuum, so we got rid of it. Recently got an ecobee vacuum in a mystery bag from a website (cost $5). It did not support virtual walls and kept getting stuck, so I gave it away. Given that I had one that cost me $5 and I found it to be not worth the cost, I wouldn't even take a robotic vacuum for free. Wouldn't it be most economical to just pull out the vac once a month and do just do a quick twenty minute vacuum? Anyone have any experience with Samsung's robot vacuum cleaner? As part of a Samsung rebate for purchasing new kitchen appliances we will be getting a free POWERbot from Samsung valued (by Samsung) at $499. We also have a 10% rebate on entire purchase, so the cleaner is just fluff, certainly wouldn't have bought one. All our cats have passed so no worries about pet fur/dander any longer. I've been researching this today because my wife would like one. I've been looking at the eufy 30 for $200 on Amazon as Wirecutter suggests (https://www.amazon.com/eufy-Upgraded-Su ... B07D78Y5TN). We vacuum the house every 1-2 weeks with a nice Dyson vacuum and have toddlers and a dog. I'm not sure if running a robot vacuum more often would make our carpets and wood floors cleaner compared to using the more powerful Dyson less often. It seems a little unnecessary to me but if it's going to make our house cleaner because of our lazy vacuum habits, then I'll possibly go for it. I also didn't not enjoy the roomba. I found it was quicker and quieter to use a broom to sweep up the dog hair. Of course, I have hard wood floors throughout. If you have carpet you will probably benefit from automated vacuuming twice a week. Allergists recommend hardwood over carpet. I've removed carpet/pad in several homes to reveal vintage hardwood floors, or to install 3/4" hardwood. After discovering what was within/under the carpet and padding and the stains on the subfloor, I will never have carpeting again. After a few years, it's an ecosystem that is merely out of sight. I had one a few years ago. With a dog or two shedding, the poor thing didn't stand a chance. To illustrate the problem, look at the volume of dog hair you collect weekly. Then compare that to the size of the dust bin on the robot. We actually vacuum weekly. It's easily a one hour job, to do it right. The robot vacuum would supplement that. I have a Roomba upstairs and downstairs. Run them daily with 3 dogs in the house. They work like a charm. I did have one of the early ones too, and like your experience, was not happy. The new ones are great! There are other threads in here on this, you may want to google the forum. I actually started one some time back. We ended up getting a Eufy 11S maybe a year ago? It was only about $200, and was/is one of the least noisy ones on the market. It is a pretty basic unit, no fancy tracking, but we use it to cover about 1500-2000 sq feet of wood floor. We have actually been surprised how well it works. We had a lab, with dark wood floors, and when I was home with dog I'd run the Eufy twice a day. Now once a day without dog is more than sufficient. I also just bought a Dyson stick vac - the robot vacs are good for ongoing maintenance, but sometimes you just want to clean up a mess quickly, and starting off the robot vac and hoping it hits the spot in the next 2 hrs is kind of frustrating. Go with the absolute because it has a better floor attachment than the other V7's. I concluded you don't really get much for in a V8 absolute vs the v7 absolute for the additonal $120. I'd recommend it. We have 11s and it has served our needs very well. Best selling points, it is cheap, and it is very quiet. It works well enough. And it will make your house cleaner. They tend to do a good job of getting areas that you may miss. Three cats. All hardwood. Have had a Roomba 2+ years. Very happy. If you leave stuff out - papers, cords, etc. It can get tangled up. We've gotten in the habit of putting more stuff up, less on the floor. Doesn't do corners. I will wipe a cloth along the baseboards / in corners maybe once a month. Emptying bin, occasional hair getting in rollers not really a problem. Thanks. There is also a 15C version that just popped up recently on Amazon. It looks like it was just released in time for black friday specials and there is little information on it, not even on the Eufy website. From what it looks like, it has the power of the 11s but has wi-fi capability. My worry is that if it's a black friday/cyber monday release, that it lacks in quality, but who knows. I'm not sure why it would need wi fi. I literally just hit the button and let it go. You can program it to go once a day but I haven't done that either. The quality of 11s is pretty good. I even dropped it on concrete once and it still works. You will have to clean out the bin and clean the brush frequently. I do it after every run. Takes about 2-3 minutes. If we have to replace every 2 or 3 years, at $200 a shot it isn't a big deal. I bought a Roomba about 4 months ago. For the first two of those months, we had a lab/greyhound mix who shed a lot. We have hardwood floors with some area rugs. The Roomba got some of the dog hair off the rugs, and helped some. It still left a decent coating of fur on the rugs even if I ran it every day, but was pretty good with the hardwood. To really get the rooms clean, I still had to haul out the vacuum every couple of days. The dog passed away after two months. I mostly just rely on the Roomba now, and very occasionally run the regular vacuum. My Roomba will get itself tangled on cords and will get stuck on occasion. I do like it and think it is a big help, but it's not a replacement for actual cleaning. And if you have a Google Home, you can just say, "Hey Google, start vacuuming." Makes me feel like the Queen of the Castle. love the 980! it's just really loud on carpet with the "boost" setting. I would think anyone with shedding pets would really benefit from a quick robot vacuum to pickup the hair. I just take my hearing aids out. It's also good with cat litter that is tracked/tossed out of the box. YES!!! Purchase one! We bought one and used it for 30 days straight and are now using it 2-3 times per week. You will be surprised how much dust/hair it will pick up. Well worth it. Been a few years since we had a Roomba. I ended up getting rid of it due to the cleaning - just took too much time. If I didn't have to clean it after every vacuum say once a week and it only really took a couple of minutes, I might rethink. And I had no pets at the time and not a lot of things on the floor. Have a robot vacuum that is 5+ years old. Noisy, and the batteries are shot so it runs for 15 minutes then shuts down. Cost was >$300. Just bought a second one Ecovacs Deebot N79S. Not programmable, random, but does have an "edge only" feature that works pretty well. Bought it on sale for $149 so very inexpensive. Use on first floor with hardwood floors and throw rugs. Works much better than the old version, and fits under sofa so it cleans an area that was usually very dusty. Small dog (doesn't shed)... so it is mostly picking up dust and dirt tracked in from outside. Does a pretty good job of removing dirt from first floor, and is much quieter than the old one. Wife likes, so I can recommend it. Yes a programmable one like the Neeto d6 would be nice, but at $550 price.. I can't justify the price increase for that one feature. Could buy 3+ of the Ecovacs Deebots for that price, and I expect that over the next several years the cleaning performance of the robots will continue to improve, and the prices will come down so.. I can buy a newer one in 3 or 4 years at low expense. Run it every day and the floors are much cleaner, just bought a dyson V6 cordless as the backup/optional cleaner to run on a less frequent basis... so I say go for it. Will be interesting to see how often that vacuum gets used, and I am looking forward to using a vacuum for floors that is cordless and relatively powerful. Hardwood floors in front room/kitchen area are heavily used, so any dirt/grime tends to scratch the surface, and since floors were refinished early this year goal is to take better care of the new surface. Yes you need to dump the dirt container after nearly every use.. but that is a job that takes about 2 minutes... much less then it takes to find the regular vacuum, unwind the cord, plug in and use. Do it! Buy one today! I suggest you also purchase a Braava 240 if you have hardwood floors. I purchased reusable pads for my Braava. There are three different types. One is for dry-dusting, one for light mopping and one for regular mopping. The thing is amazing! I no longer have a house keeper as I found keeping the floors clean helps keep the house clean(er) in general. The Braava (and also my Roomba) is one of the best purchases I ever made. This. Bought same on pre BF deal for $139. Highly reviewed. Works great. Will take that price for one that works as well as Roombas for 1/2 price. Not a lot of bells and whistles but enough to get dog hair and dirt a few times a week. I purchased this robot vacuum years ago and while it’s not great it works better than I thought it would. I’m happy with the purchase. I did pay a lot less. I missed the Eufy 11S sale at Amazon. That would be my pick if it ever goes back on sale. Xiaomi Roborock S50, paid $420 and it has virtual mapping, scheduling, and all the features of the $800+ models. Highly - HIGHLY recommend. Have a yellow lab and run this thing daily and never find hair on the floor anymore. I know it’s not one of the main names- but I can’t tell you how much I value saving several hundred dollars and feeling like I got an even more advanced system. I've always wondered: if you have a pet and they have an accident, or leave a "present", what happens if the robot tries to clean it up (and then continues cleaning the rest of the house)? We just got the Eufy 11S. After 1 run on our downstairs, we were not too impressed. We may have had too high of expectations, but it bounced around and ended up missing a good part of the square footage. Where it cleaned, it did okay. Maybe we'll keep it and run it every day to hope it keeps most of the area pretty clean. 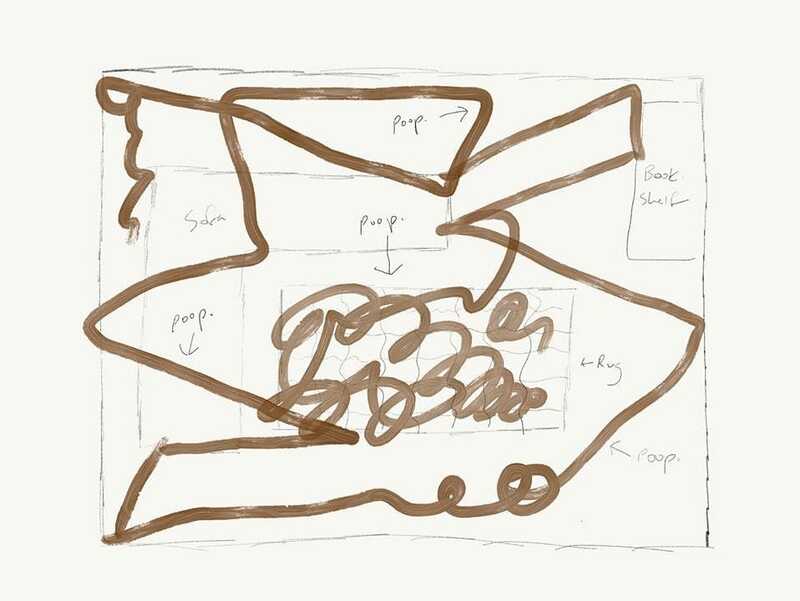 See "Man details the night his Roomba ran over dog poop" in USA Today. We have a 980, carpet with no pets. We don't find it necessary to use the boost setting. If we did we'd run it when we are out of the house. It comes with two 'virtual walls'. Basically two small devices that you station on the floor that tell the Roomba to stay away. I understand the i7 offers a mapping feature where you can tell it to only vacuum certain rooms or areas of the house. Our dog sheds like crazy but we don't have a maid as we do the better job cleaning our house than a maid could ever do. We use an old-school vacuum, roll up our sleeves, and do the work. Our dog sheds like crazy but we don't have a maid as we do the better job cleaning our house than a maid could ever do would be willing to do for the amount of money that we're willing to pay. We use an old-school vacuum, roll up our sleeves, and do the work. fify? Is that like covfefe? Ok I bought one! We have white kitchen floors that are always picking up dots of something. My wife says I’m dirt blind. Get the maid to come every two weeks. I think Robot Vacuum Cleaners are made for clean people with no pets or kids. I have tried two. One (Roomba) had a dust bin that would fill up after doing the living room (daily). The other (shark i think) did an excellent job of vacuuming all but the corners of the room. Guess where the piles of dog hair were... Neither really picked up much out of the carpet compared to my high dollar, high suction, hepa filtered behemoth upright. Easiest option (not cheapest) is to remove all carpet, lay down hardwood, and get a lightweight high capacity manual vacuum that can get the job done in minutes. Carpet is the devil when it comes to vacuuming and should be destroyed at all costs. A Roomba completely solves the problem of cleaning your floors, and replaces it with a problem of cleaning and maintaining you Roomba, and justifying the Roomba to anyone who visits your home. I find lots of female hair rolled up nicely that I can dispose of.